Despite the impressive amount of work that has been done by NGOs, international partners and Governments, the challenge is getting people to get tested. People who are living with HIV who are not yet tested, not on treatment, and not virally suppressed are a big challenge arriving to the vision 2022 target and in line with the 90,90,90 target to keep the people alive and healthy enough not to transmit HIV. The catalyst to achieving this is testing for HIV positive Pregnant and Lactating mothers, a course of ARV to reduce Mother to Child transmission in accordance with nationally approved protocols. Today HIV TESTING, HIV positive status Disclosure is not only important to prevent New HIV infections but is also paramount in the management of HIV including relationships in General. The reality though, is that disclosure is not an event but a process, a tough and challenging one. The NGOS and support group play an important part in improving the communities’ treatment literacy and helps them access available new models of care. 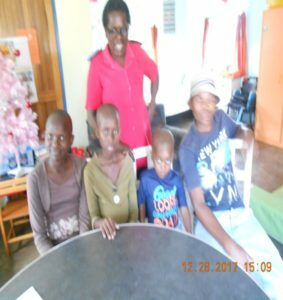 We also had a Lady visiting Hope house from Mankayane , and inviting Times of Swaziland, stating that she has healed clients with Cancer at Hope House. Whereas the cancer clients in their 4th stage and still have not made any progress. 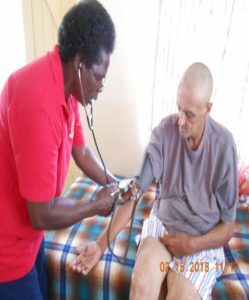 Mr. Eugine was admitted with multiple problems and on ARVs and is making a good progress, his girlfriend and son left him and one of his neighbors is looking after him and all his needs. 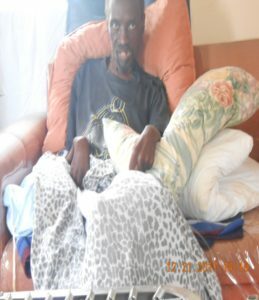 Mr. Charles Muzi Kunene has been with us for more than a year with paralysis due to a motor vehicle accident, with deep pressure sores, he was discharged in November 2017, but he had always excuses stating that he has no place to go. Finally we got the information that he had some criminal cases and was trying to hide under the protection of Hope House, he has found a house and will be moving out end of February. It is always seen that when the individuals are sick usually their partners leave them alone and at the end of the day there is no one to care for them. At the end of the day they need to hire someone to care for them in their needs. Work sick day celebrated on the 11th February and prayed for all the sick, also for all those who passed away at Hope House all those who are suffering. Food hampers were distributed to all the clients. At present we have 8 kids who are on ART with us, all of them are making a good progress medically. We are grateful to God and to our generous benefactors and friends who support Hope House at all times.